After many years in the cleaning business we've learned our customers do not want to "baby sit" our staff. We are committed to providing headache free service. When you choose our services we provide you with consistent communication. By providing regular contact and inspections of your facility, we eliminate the need for you to ever change services again. We do not want your business for 6 months or one year, we want your business for the next 10 to 20 years. We know how to get the best results for our clients. Just ask our current clients... both large and small ... that rely on us every day for our professional cleaning services. They'll confirm that Unequalled consistently delivers on its promises. We will not let you down. 24 hours a day customer service. Consistent service, with regular inspections. You can be assured that your building will be properly maintained each and every day. At Unequalled "we've earned our stripes" as one of the Northwest's leading commercial cleaning companies. Our compensation program is designed to guarantee that you'll always be served by dedicated professionals. The supervisors responsible for cleaning your property have each made a substantial investment in the Unequalled program. Their earnings are directly tied to the contracts they service. They work hard to deliver that "Unequalled touch" that traditional cleaning services just don't provide. Unequalled Janitorial has experienced employees dedicated to providing you with headache free service. Our turnover rate is one of the lowest in the industry. 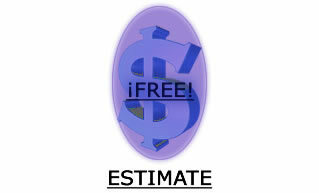 Unequalled Janitorial also contracts with independently owned cleaning services. We have over 20 employees and over 30 independant contracors, regardless of who is cleaning your building we will stand by our word that the customers specifications will always be met. These owner operated contractors have the experience and knowledge to handle any cleaning task you may have. They are experts in efficiency, saving you time and money. Protecting your property is always our foremost concern. Unequalled personnel are insured with workers compensation, general liability insurance, and a janitorial bond. Unequalled Janitorial offers a variety of affordable office cleaning plans to fit any budget. We will clean according to your specifications, or work with you to design a cleaning schedule. Stop wasting precious time and money trying to keep your offices, industrial center, church, restaurant, fitness center, mall or corporate headquarters clean. Why try to do your office cleaning yourself? Finding the time to cleaning thoroughly is always a challenge, so let the cleaning experts do it. Unequalled Janitorial take the time to clean every room right the first time, freeing you to get back to the business of doing business.